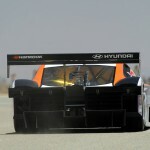 Pikes Peak Unlimited Races with the New Hyundai RMR PM 580-T! (Sébastien Loeb & Rhys Millen 2013 VIDEO) - Muscle Cars Zone! Mr. Rhys Millen, the famous driver was noticed cleaning exhaustingly the alloy wheels of his vehicle near the Mojave desert, at California Proving Grounds area which is the property of Hyundai. But Rhys was not “playing” with a usual car. He was preparing the new Hyundai RMR PM 580-T for the upcoming Pikes Peak International Hill Climb. 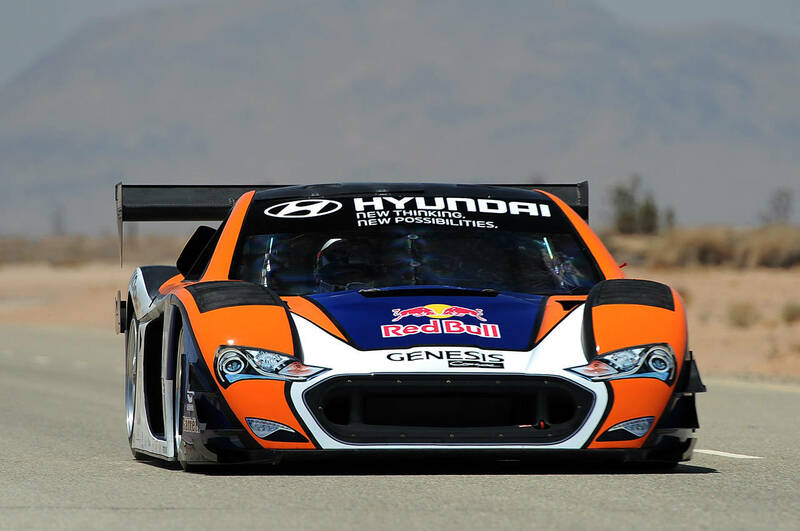 Compared to 2013 Hyundai Genesis Coupe race car, Hyundai RMR PM 580-T was or at least made an impression to be larger, closer to the ground and far more menacing. Its body was painted in white, orange and blue. 4.1-liter V6 800 hp Engine! When you see the front of the car you will notice the presence of brake ducting and a big radiator made of aluminum able to absorb fresh air current. The chassis was produced in 2005, in November, and is made of carbon fiber. 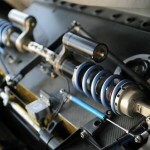 More precisely, we are talking about the Gen-1 Crawford Performance Engineering Daytona Prototype type of chassis. As far as the engine is concerned, the 3.8=liter was replaced by the 4.1-liter V6 engine able to produce 800 hp. The vehicle is also equipped with Garett turbocharger and 6-gear transmission. The most astonishing part of the vehicle`s engine is the golden foil which is supposed to protect important part of the vehicle from the heat. Furthermore, the silicone hose which is part of the turbo is huge. The whole external part of the vehicle was produced by Rhys Millen Racing. Hyundai`s representatives were very please of how the whole design of the shell turned out. Rhys put on his suit and was completely prepared to start up the vehicle. When Rhys started driving, it became obvious that this car is far quieter than other race cars due to its turbocharger. However, it does have a louder roar. Hyundai`s cars, minivans and SUVs are all tested at the California Proving Grounds. The PM 580-T Transmission is Geared to 148 mph Flat-Out! At first, Millen was rather soft with the car. But, few minutes later, he started to push it more and more. The engine along with the pop of the blow-off fought the wind and in a minute Millen was miles away. The car was moving with a speed of 146 miles per hour even though the transmission was set to 148 mph. Still, this is not the only test this racing car must go through. There are a lot of other tests that must be done. 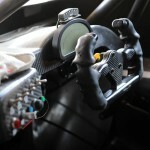 Rhys Millen is fully prepared for them and he is constantly working on improving the car.